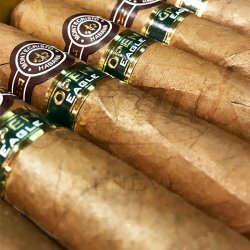 MONTECRISTO OPEN EAGLE SBN 20 ACT. Created in 2008, this cigar comes at a very opportune time in the cañonazo format to complete the family of this module. It is between the Siglo 6 Cohiba and Robusto Extra Trinidad. It is a rich and dense cigar. Fatty and woody taste, it reveals the richness of aroma making it worthy of a great cigar. 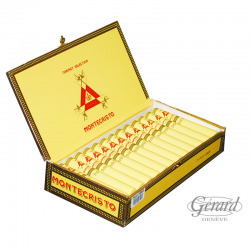 Perfect for after dinner, it offers a slow combustion enabling to fully capture the three phases of the cigar.